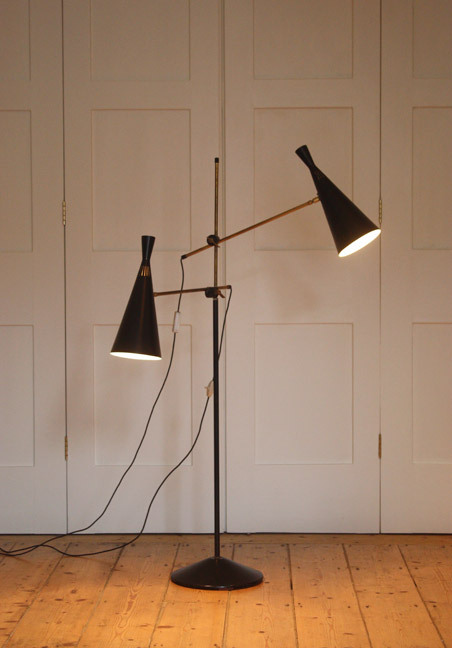 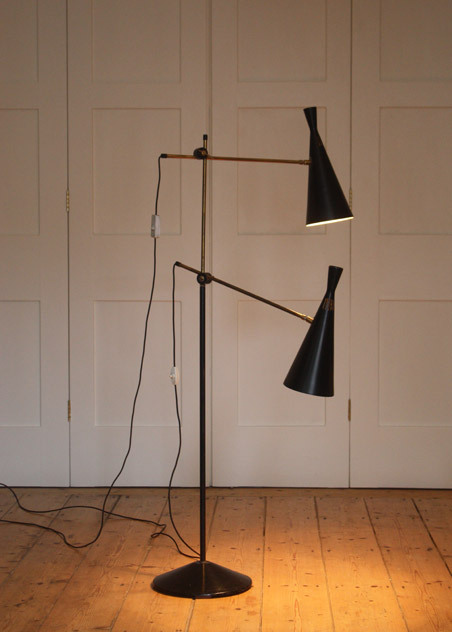 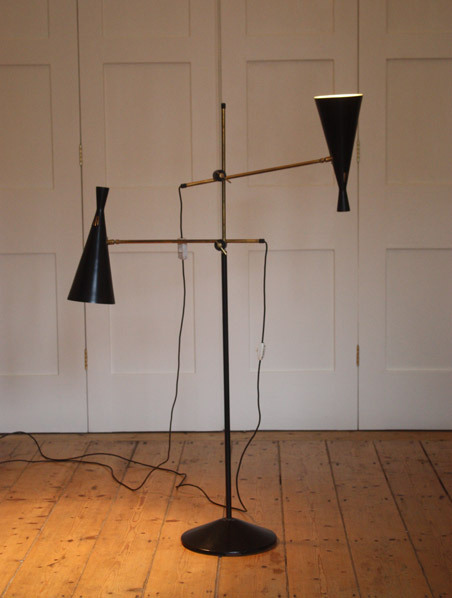 A rare floor lamp with double shades designed in the late 1950s by GA Scott for Maclamp, UK. 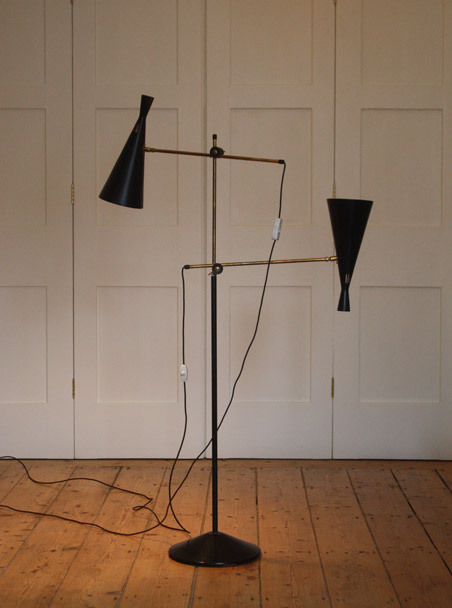 Black painted aluminium shades on brass arms, black upright and black base. 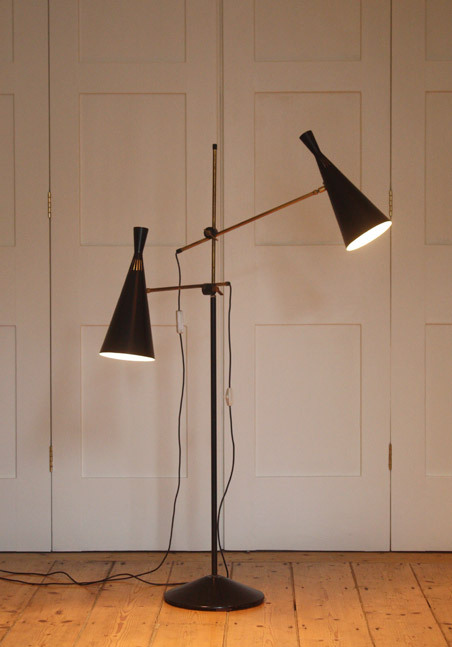 The arms are highly adjustable offering a multitude of positions. 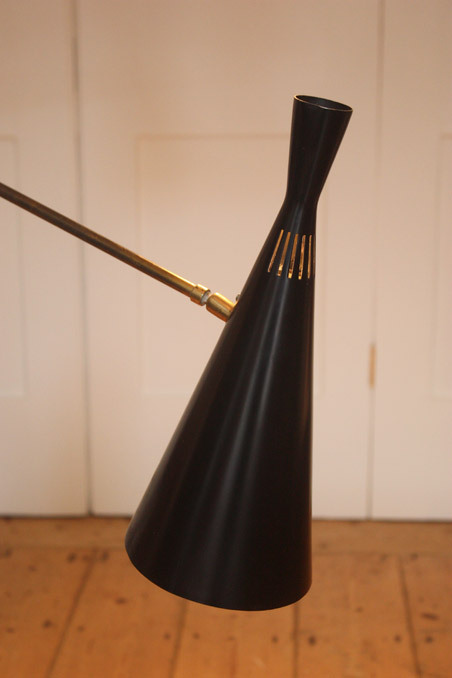 In good original condition, with some wear to the paint in places, a couple of very small pinpoint dings to one shade and some wear to the paint on the base - please ask for detailed photos.